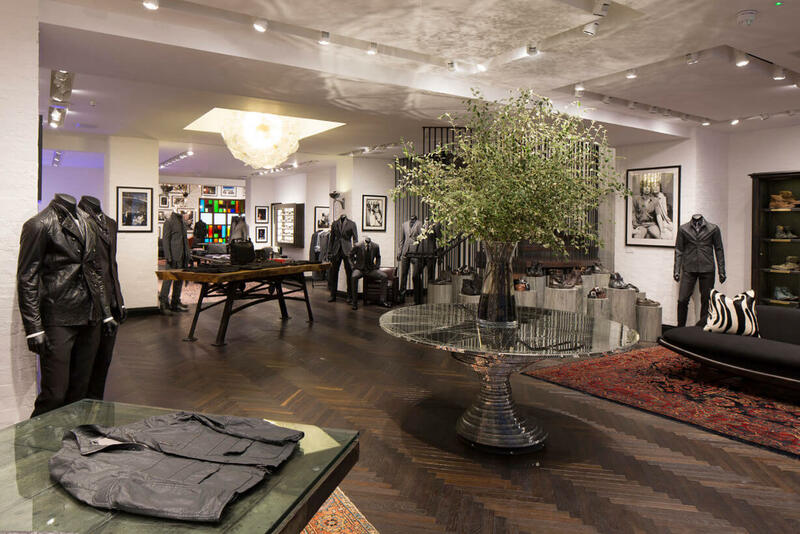 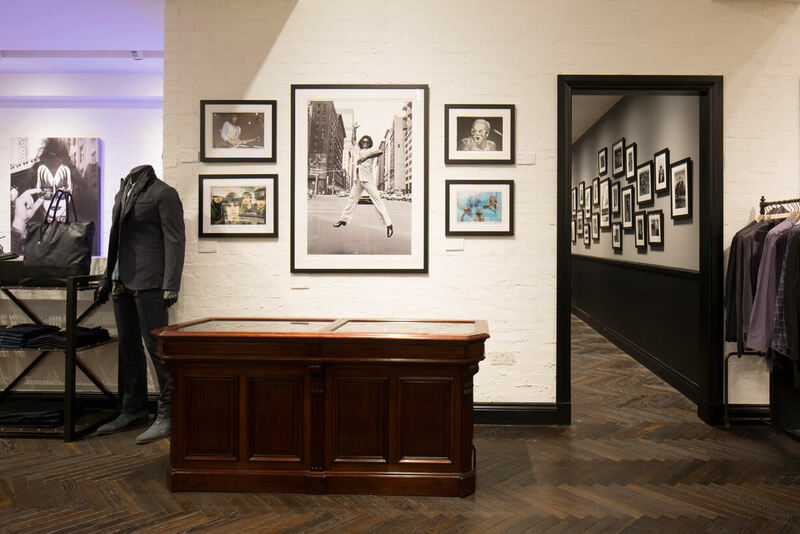 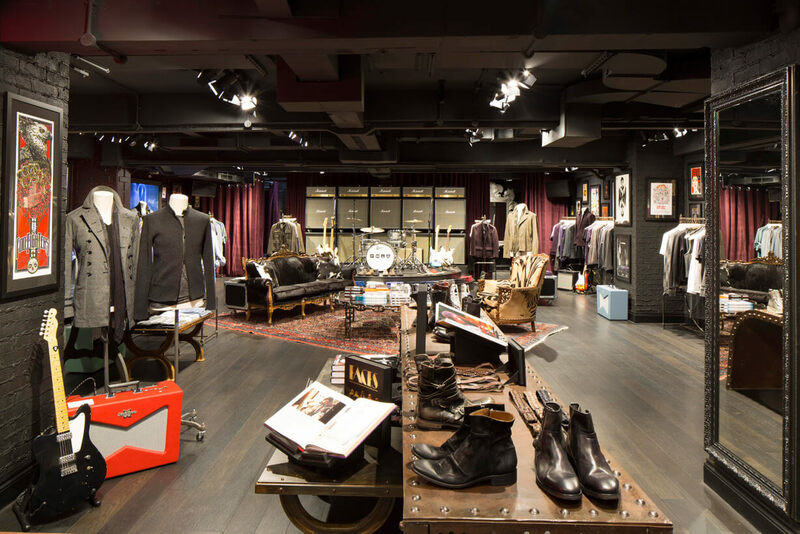 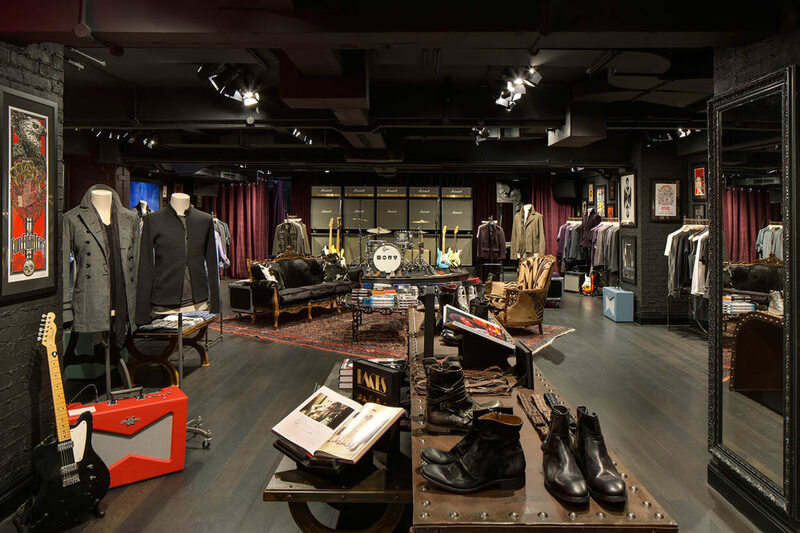 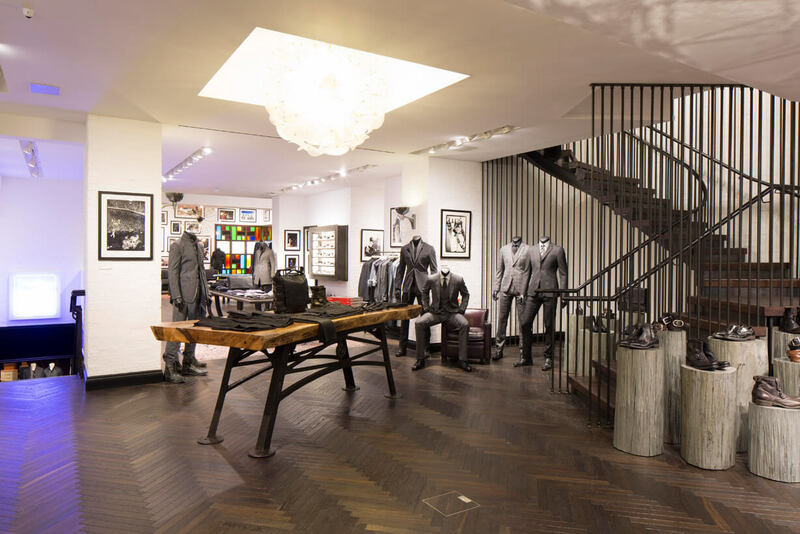 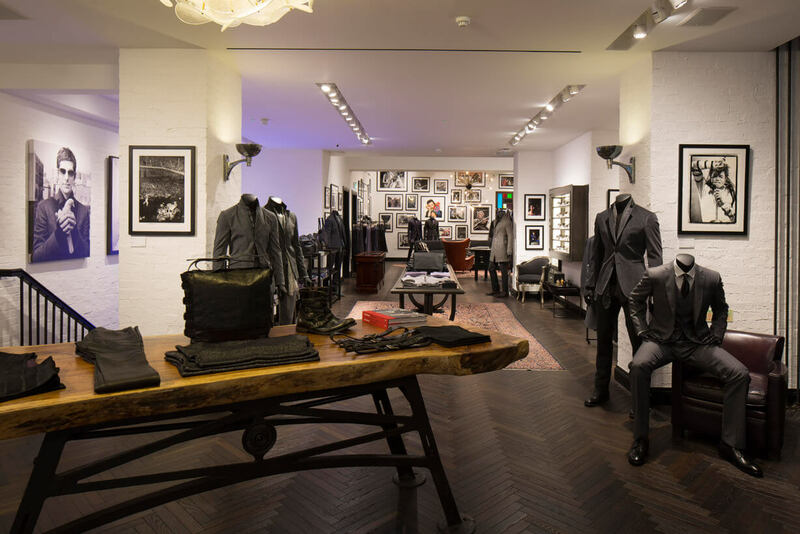 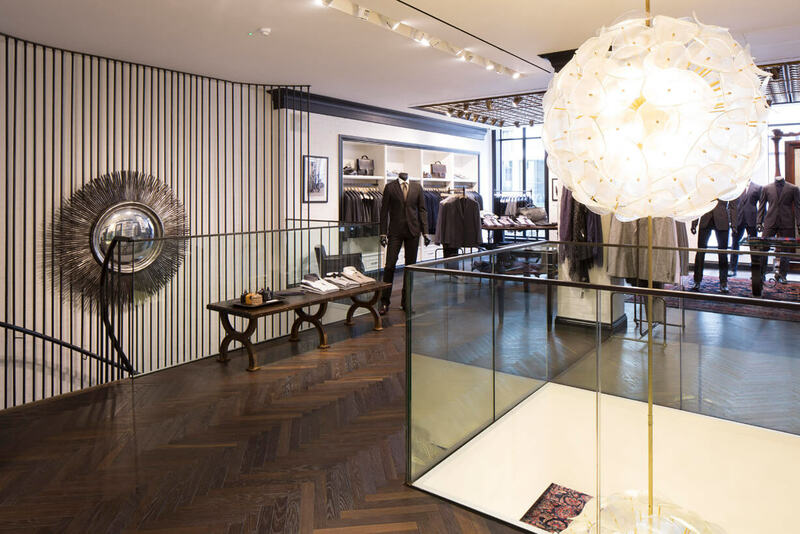 On this project 3 Oak Wood Flooring were specified to supply a wide engineered plank for the basement and herringbone parquet flooring in the rest of the retail area. 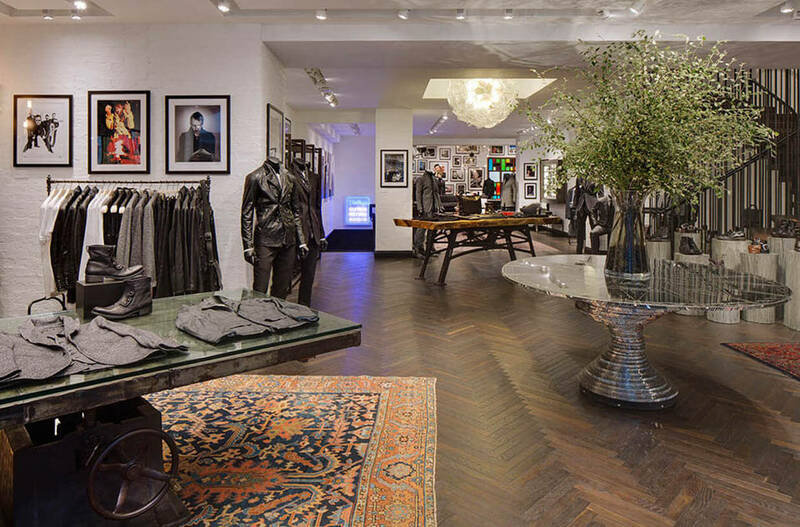 The chosen floor was a dark fumed oak, rustic grade, with Matt finished planks and satin finished parquet. 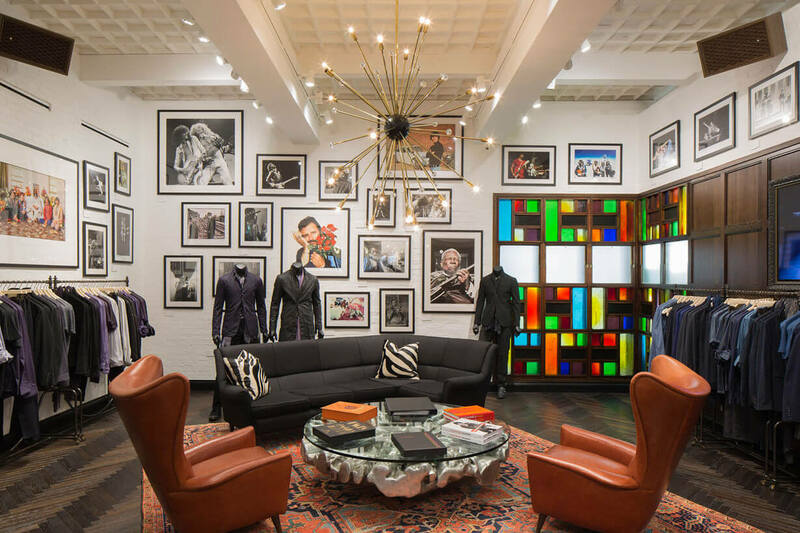 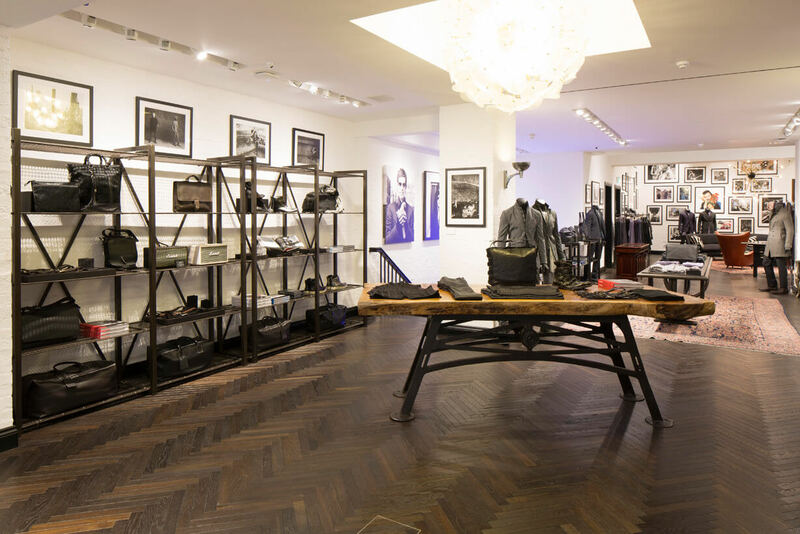 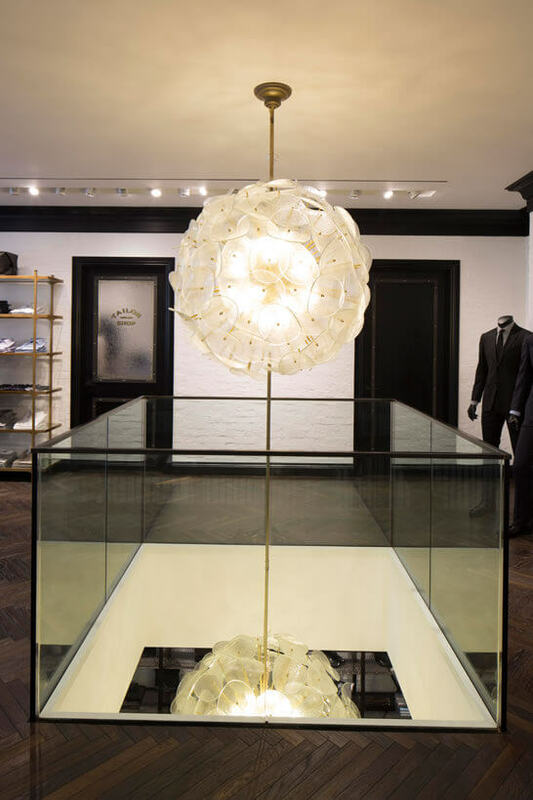 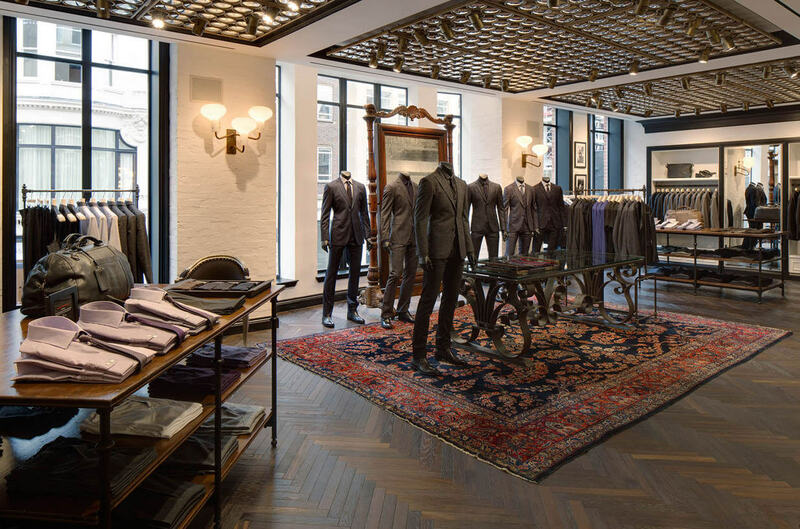 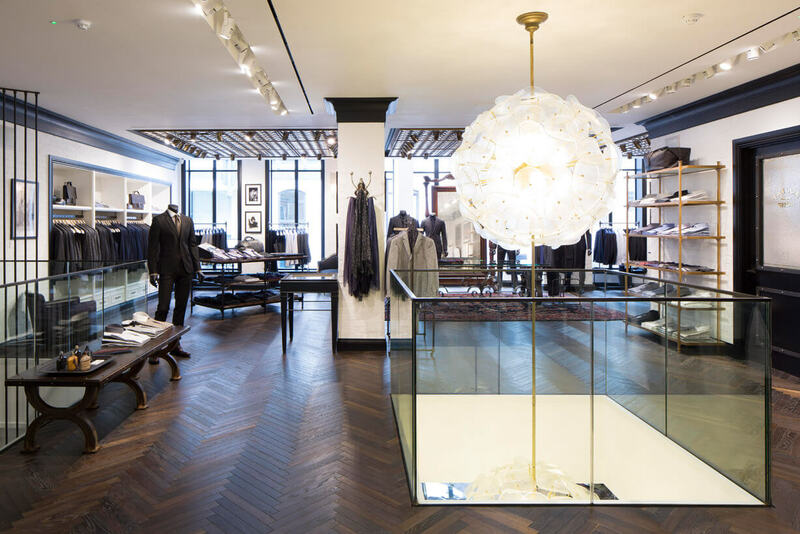 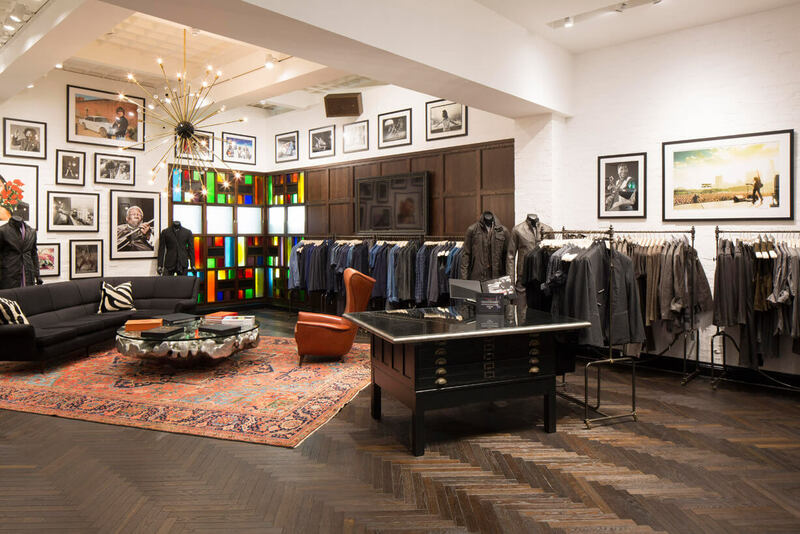 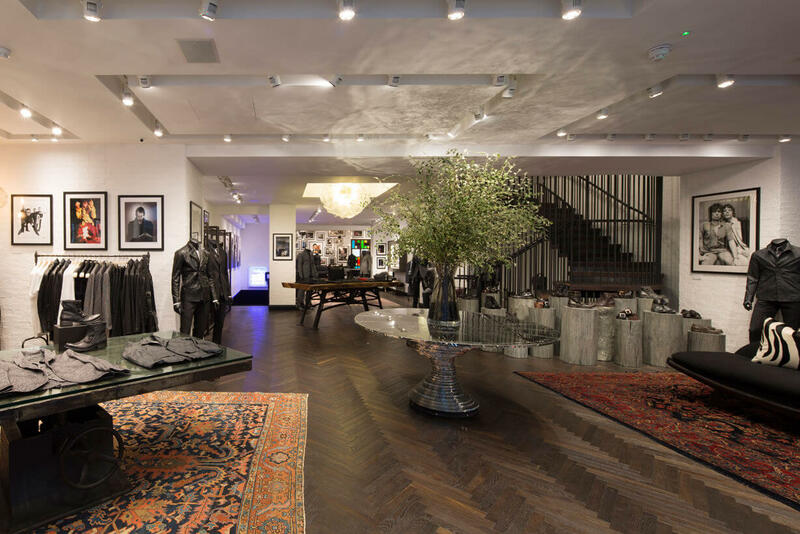 On the ground and 1st floors our American clients specified a Prime grade, herringbone parquet flooring of a narrow width which is a similar size to the parquet in the flagship store in New York. 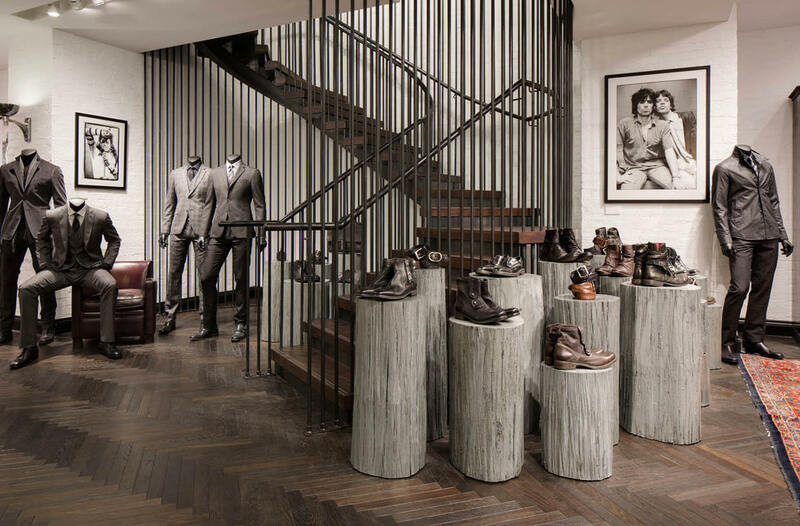 The dimensions specified were 21mm x 60mm x 450mm the boards were smoked for 30 days to create a deep rich chocolate colour all the way through the oak, then a treatment of brushing was used on the wood to create a texture effect then finished off with 3 coats of a satin oil.